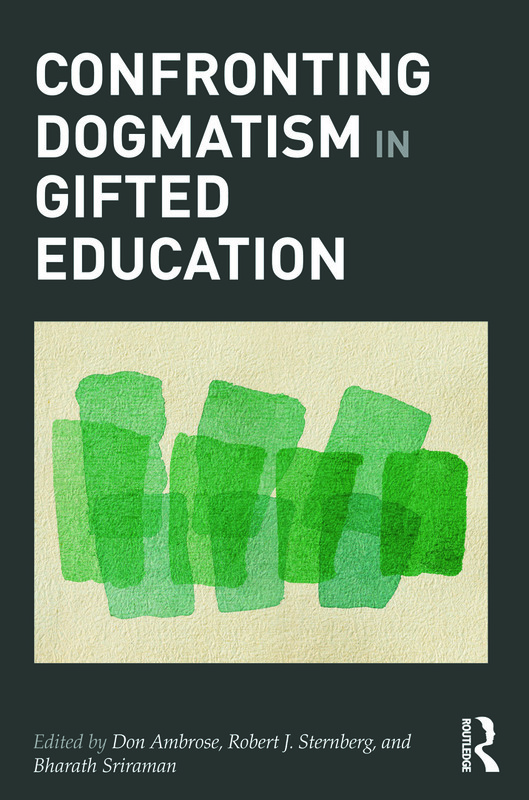 This title looks at the dogmatism that limits the perspectives of professionals, policymakers, and other stakeholders in gifted education. In a field where concepts and definitions surrounding high ability have been contested for many years, there is increasing interest in clarifying these notions today. This book offers such clarity, searching outside of the predominant conceptual frameworks that dominate thinking about giftedness and talent, and examining ways in which this conceptual fog stunts and warps the development of gifted minds and limits the effectiveness of curriculum development and instruction. The book directly addresses the connection between dogmatism and high ability, exploring ways in which otherwise bright individuals can make unintelligent decisions. Each contributor in this edited collection connects educational theory with teaching practice, examining the impact of policies such as No Child Left Behind. The chapters also explore the ways in which economic, cultural, and academic contexts affect both the gifted mind and education of the highly able in America and the rest of the world, while making recommendations for positive changes that can be enacted within gifted education in the future.